After oil, Dubai has always been known for its tourism. According to Gulf News, 15.8 million people visited Dubai in 2017. With the diversification plan in place and Dubai Expo 2020 coming up, these numbers are only going to increase. 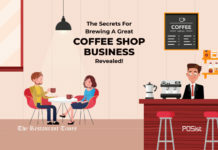 There is thus a huge window for hotels and restaurants to grow and earn not simply profits but also customers, reputation and a market share. Currently, 50% of Dubai’s F&B Space is made up of hotels only. This means that at least 50% of restaurants in Dubai are a part of a hotel chain. 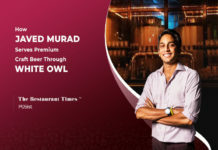 With a surge in the number of tourists and all the changes that the F&B Space in Dubai is absorbing, managing the number of operations can be tricky. 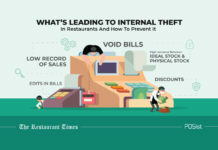 That is where the need for an integrated restaurant pos system comes into the picture. With coming of restaurant technology, the F&B Space in Dubai has undergone a complete evolution. Automation and real-time cloud software have created possibilities that earlier were not existent. 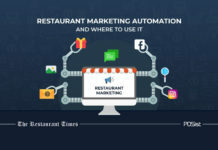 The impact has been far and wide and though the name restaurant technology gives the impression that it is limited to restaurants only, even hotels are feeling the impact of the changed space. Restaurant technology specific to and custom built for hotels are coming up and diversifying the way operations are managed. The most basic of this is hotel billing operations. 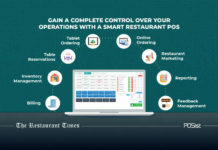 Cloud restaurant POS System integrated with Property Management System is redefining how hotel billing operations are managed and smoothening the process all over. Hotels and restaurants have always worked hand-in-hand to provide complete hospitality to customers. However, the billing operations in hotels are completely different from those of restaurants. To begin with, restaurants only need to charge at one spot for one table, mostly. In a hotel, there are multiple points where a customer spends and mostly a final, integrated bill is required based on the room numbers. What is more, restaurants in hotels are not limited to serving people who are staying at the hotel. Locals come to eat there as well, further complicating the hotel analytics. An integrated restaurant Point of Sale (POS) system takes care of the food and beverage aspect of the hotel. Right from the billing of food and drinks, to stock and inventory management of multiple restaurants and bars in the hotel, a POS aids the hotel management to provide a stellar guest experience. One of the biggest challenges hoteliers face while accepting orders at multiple outlets is pushing the orders against the checked-in customers’ tab. 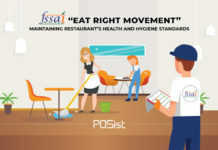 More than often, customers don’t want to pay as soon as they have used a service or finished dining, and request the bill to be added to the overall bill of their stay. As said earlier, in a hotel, there are multiple F&B outlets. Apart from that, there is an option of room service and mini-bars as well. So many places, where a guest can spend also means a greater number of places to keep track of and account for at the time of final bill generation. 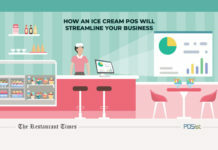 Without an integrated restaurant POS, this is a resource and time-consuming task. 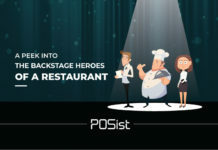 An integrated restaurant pos software that will run common in all the F&B outlets will allow you to create an ID for every customer based on the room number. All that is needed then is to enter the room number in the system and the final bill will account for all the points where a purchase has been made, be it the hotel kiosk or poolside. 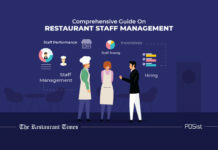 For a hotel that offers room service and has multiple outlets such as restaurants and bars, keeping a track of the stock and inventory becomes a must. Nothing is a more turn off than a guest ordering for a particular item, only to be told that the item is not available. The point to remember here is that a hotel has multiple kitchens and not just one central kitchen. That is what complicates inventory management and puts a lot of burden on the main store which is responsible for all the purchasing. Through a POS integrated inventory management system, this process is smoothened in two ways. Every kitchen can set their own inventory levels and as soon as the inventory hits the minimum mark, the concerned person is notified. Also, the process of procurement of inventory is successfully set up for different kitchens through an internal indenting feature. 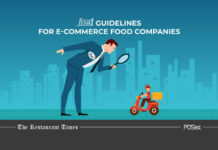 An approval metrics can be established in every kitchen wherein only specific people will be allowed to order specified quantities. That way the exact amount of inventory ordered and procured by every kitchen can be monitored and tracked and the costs of inventory can be maintained at a minimum level. 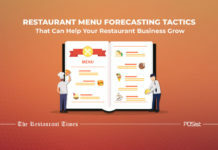 One of the most important reasons as to why every bill is maintained is that a comprehensive chart needs to be drawn regarding costs and profits earned by each F&B outlet in a hotel. A sizeable amount of revenue is generated from the various food and services outlets such as the restaurant, gym, and spa. It is imperative to know exactly which outlet is performing better and why. An integrated POS gives detailed insights into the total number of items sold at outlet level. You can also track which items are popular and performing better, thus allowing you to make data-driven decisions. Custom reporting tells you exactly what and how many items are sold at the restaurant, bar, or ordered from the room, for deeper analysis. This also gives you an opportunity to make changes in your menu according to popular demand and train your staff for better upselling. Also, a restaurant in a hotel gets customers from the guests staying at the hotel, and from the outside as well. 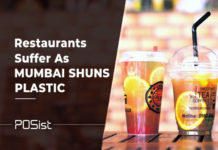 Now, it gets difficult for hoteliers to keep a track of the orders received from the in-house guests and the orders placed by walk-in customers. Through detailed reporting, you can keep a track of all orders. 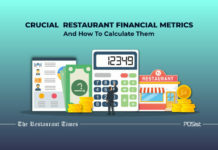 An integrated restaurant POS does not simply store this information but processes it to shell out the exact analysis of the cost breakups of each outlet individually, and when put together. A stellar guest experience at a hotel comprises of everything; right from the hotel ambience, to the food and service offered. Nowadays, hotels are increasingly moving towards providing a personalised customer experience to their guests based on their preferences and behaviour. A smart restaurant POS with an integrated CRM allows you to segment your customer data based on their ordering habits and preferences. This increases the scope of upselling since your servers can utilise this data to provide custom service. Hotels run in a more complex manner than a restaurant because of the number of units operating in it simultaneously and the volume and diversity of crowd that comes in. Technology can go very far in impacting the way these units are run and smoothening the process thus generating windows for creating more profits.